The Tarte Amazonian Clay Foundation had been on my radar for (and I’m not being dramatic when I say this) years. If you’re new to to my blog and have never watched one of my makeup YouTube videos, then I’ll fill you in… my skin is extremely oily and I suffer with excess oils on a daily basis. With elements of their famous clay, this foundation is a full coverage foundation that also claimed to actively control oil production throughout the day. Having been trying it for around four months now, I wanted to share if I think it’s worth the huge hype it has in the beauty community. Packaging: I know some people complain about the simplistic packaging of this product, but I have to say, I really like it. The squeeze tube style makes controlling the foundation easy and there won’t be any waste when you start getting low. You also get 50ml of product in this, with the average foundation bottle containing 30ml, I was pleasantly amazed on first impressions. Colour: I ordered mine from QVC so not all of the colours they make in the range were available at the time. I selected Light Sand – a pale, yellow-toned colour. This is certainly too dark for my Ivory skin tone, but works either when I’m a little more tanned (naturally or using fake tan) or it works well when mixed with my porcelain foundations. I do wish I had picked a lighter shade should one have been available, but I do appreciate how yellow-toned it is. I have yellow toned skin and often find pale shades steer more to the pink than yellow, so I do appreciate that. Price: I got the Tarte Amazonian Clay Foundation as part of a wider set of Tarte products including items such as eye shadow, eye liner, a lipstick a a few brushes for around £50 including postage which wasn’t too bad. Ordinarily on QVC it’s a staggering £35 without postage (find it here) with a brush. The brush bristles shed when I used it, so I wouldn’t recommend the set if I’m honest. For the price it’s not worth it in my opinion for a number of reasons I’ll proceed to discuss. That’s a lot of money for a foundation alone especially one that I feel does not perform as it should. 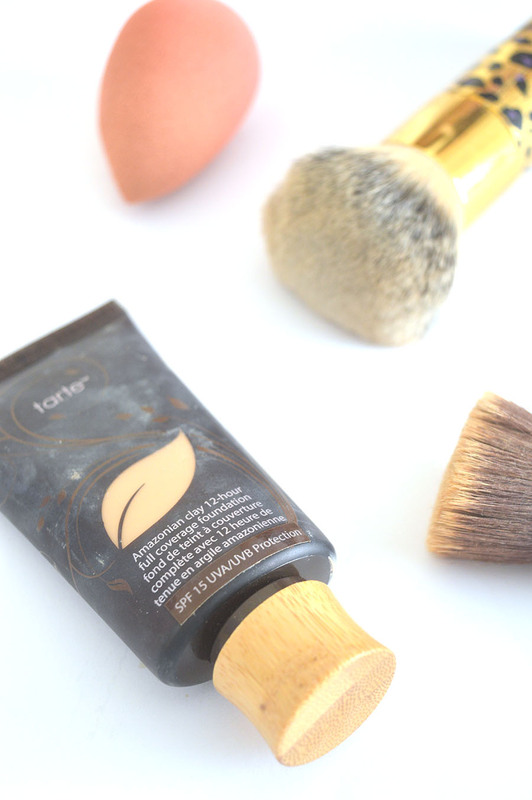 Application: On application the Tarte Amazonian Clay Foundation is one thick foundation. It is marketed as a full coverage foundation, so you’d expect that, but this is not as full coverage as my Estee Lauder Double Wear and because it is mousey/thick, it sits on top of my skin and doesn’t melt into it as you’d expect. I’ve got plenty of even drugstore foundations that work better with my skin type than this does. For best application I did find my Sigma F80 brush provided the best results over other buffing brushes, foundation brushes and even my beauty blender. Longevity: Very disappointed here too. It’s a full coverage foundation aimed at people with oily skin but it didn’t last longer than 5 hours without needing complete re-powdering as I looked greasy. I’m not sure where the clay is in my foundation supposedly preventing oils, but my oily skin did not like this one bit. Not only that, because it is so cakey and thick on the skin, when mixed with my natural oils it separates and looks like a hot mess. 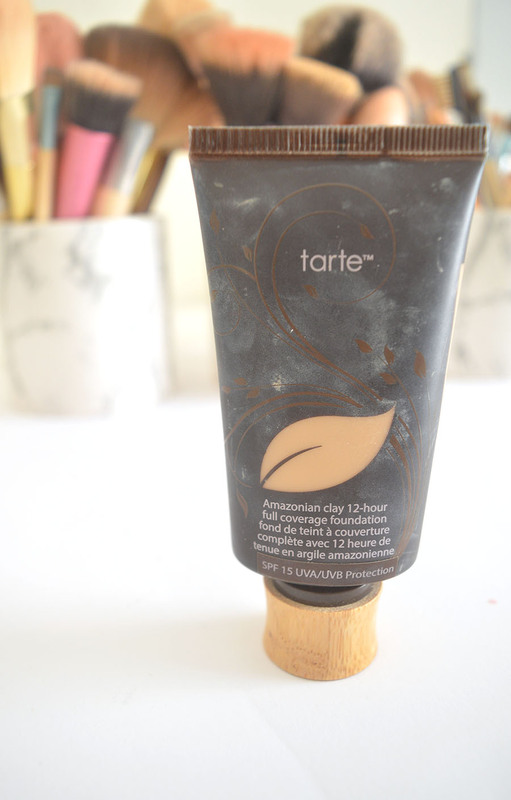 I was so gutted as I certainly expected more from the Tarte Amazonian Clay Foundation. All in all, I wouldn’t recommend this for fellow oily skinned girls or guys thinking this may be some miracle product like I once thought. The Tarte Amazonian Clay Foundation just did not work for me and it’s not a product I will be re-purchasing or recommending to friends and family as it sucked for me. 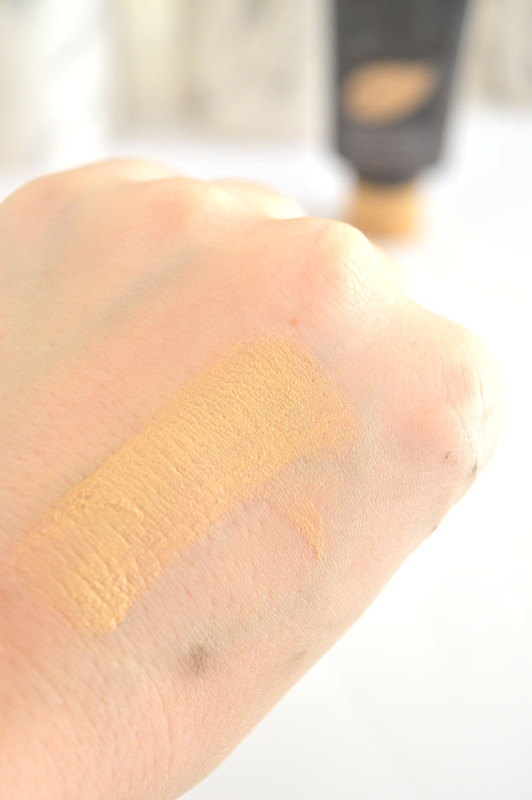 How did you find this foundation performed on your skin?